Thank you so much for all your kind donations. It really means the world to me that you would be kind and generous enough to donate your hard earned money to me. I can’t express in words how much it helps me out right now. I love and appreciate each and every one one of you very much for every penny donated. You can help in other ways by sharing this link or links to macronshow.com with your friends, family or work colleagues via social media etc. or any way that you can. In return I promise to keep working as hard as I can to bring you bigger snd better shows every single week and hopefully bring some fun, laughter snd happiness into this world. 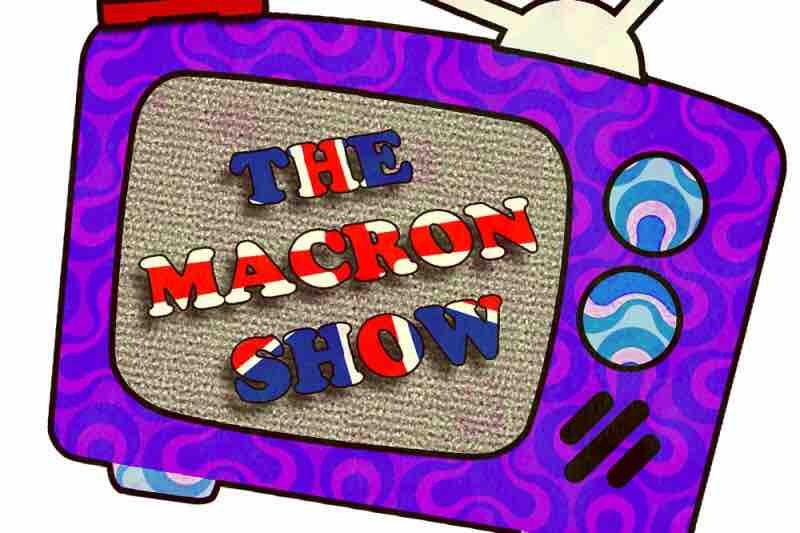 If you make a donation of £20 or more and would like to receive a free special limited edition hand autographed Macron Show print then please email macronshow@gmail.com with your full name, address and proof of donation and I’d be happy to send one anywhere in the world as a token of my appreciation. My fans really are the best and I appreciate each and every one of you so much and I hope that my shows can bring you laughter and happiness for many years to come. Thank you all so much for your recent kind donations. They really have helped to keep the show going. Please share this link and continue to donate whatever you can afford to spare as it means the world to us and means we can keep bringing you more great shows! Thanks and I love you all! Just want to thank everyone for the recent donations. I can’t express just how much it means to me and how much it helps me right now. I love each and every one of you and promise to keep working hard to bring you the best shows I possibly can. Thank you again! Hi everyone. Just wanted to say sorry for the lack of shows lately. I've made various announcements about this on Reddit, Twitter and Facebook and I hope you will understand. We need your help now more than every so please if you can spare it we woud be so grateful for any help you could offer. I promise we will be back with more shows very soon. Than you and we love you all! Thank you so much for all the recent support everyone! Please keep those donations coming, it all helps towards keeping the show going! Hey Maggot, get that server, i need more calls!! Keep up the good work. I enjoy Discord daily. How does one become a VIP? Thanks for the content!